It is said that showbiz completely transforms you and this is absolutely true in the case of actor Ravi Dubey. Not only has he grown as an actor, but he has also evolved and groomed himself well. 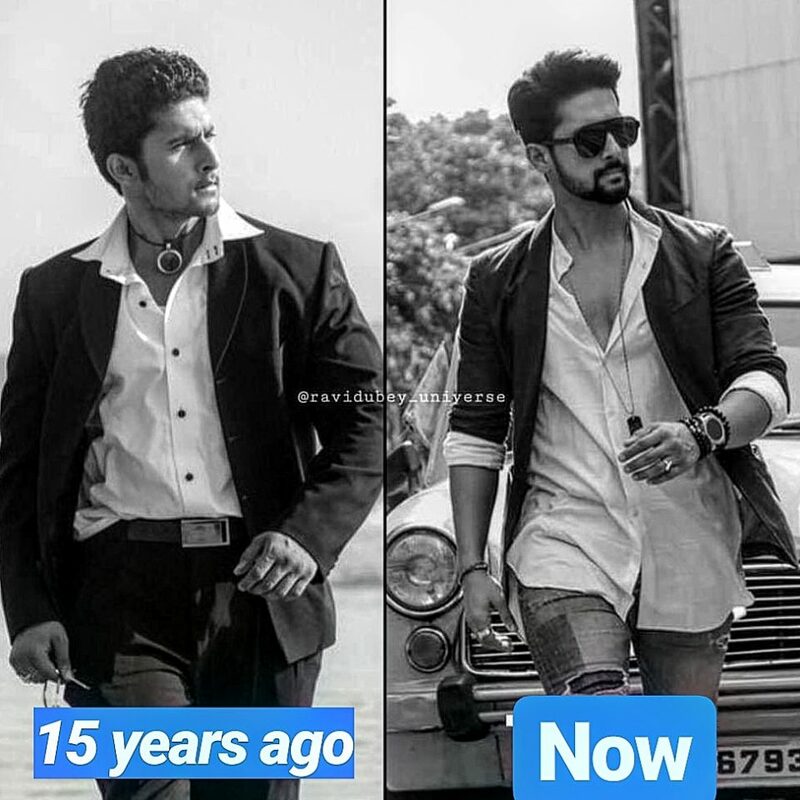 The actor recently shared a picture on Instagram of how he looked 15 years back and how he looks now, and all we can say is that we are very impressed! Ravi started his career with the show Stree … Teri Kahaani on DD National in the year 2006 and has only worked his way up from there. He gradually became a household name with shows such as with shows like 12/24 Karol Bagh, Saas Bina Sasural and Jamai Raja. He has also worked on his fitness and health and looks amazing today. He, along with his beautiful wife actor Sargun Mehta, is one of the most-loved actors in the industry. A multi-talented actor, with the right attitude, a killer personality and a smile that is constantly winning hearts all over, Ravi Dubey is a complete package! Vivian Dsena surprised Ssharad Malhotra on his birthday! Medha Jambotkar Birthday celebration on Rajan Shahi’s Ye Ristha Kya Kehlata Hai set! Mannat will get worried for Munni’s life and will try to..
Harman is hopeful that either Maninder or Nani will convince Saumya..